Yellowfin Holdings Ltd, of Port Hutt, Chatham Islands, was established in 1991 as a fish processing and wholesale company. In 1996 Yellowfin established Port Hutt Air Ltd to fly its fish to the mainland. The company purchased Beech 65-B80 Queen Air ZK-TAL from Tyrrell Aviation and reregistered it as ZK-PHA (c/n LD-384). In 1998, in conjunction with Port Hutt Air and Airwork Holdings, Chathams Airlink Ltd was established and this advertised passenger and freight flights to and from the Chathams. These flights began on the 9th of October 1997 and operated until mid-1998. 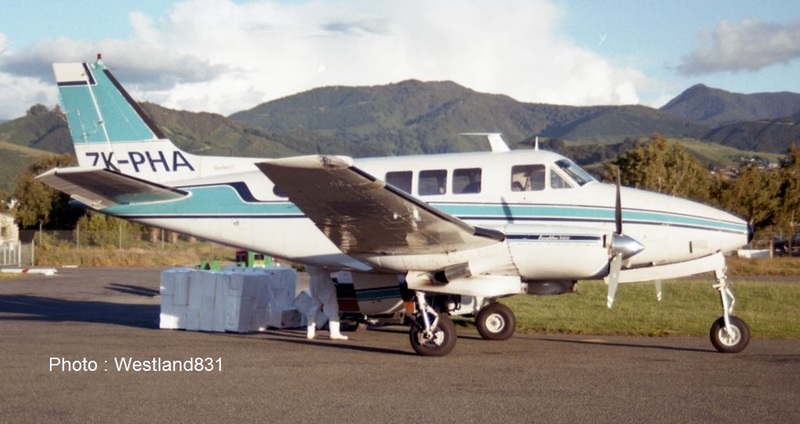 Port Hutt Air continued to operate its Beech Queen Air during this time until the 21st of November 2001 when ZK-PHA’s main undercarriage collapsed on landing at Paraparaumu after a flight from the Chatham Islands and Wellington. While the pilot was uninjured, the aircraft’s propellers, cowlings and lower fuselage were all damaged and the aircraft was written off. Chathams Airlink ceased to trade in 2002. A replacement Queen Air was obtained in the form of ZK-WKA (c/n LD-506) and this flew for a number of years with Port Hutt Air titles. 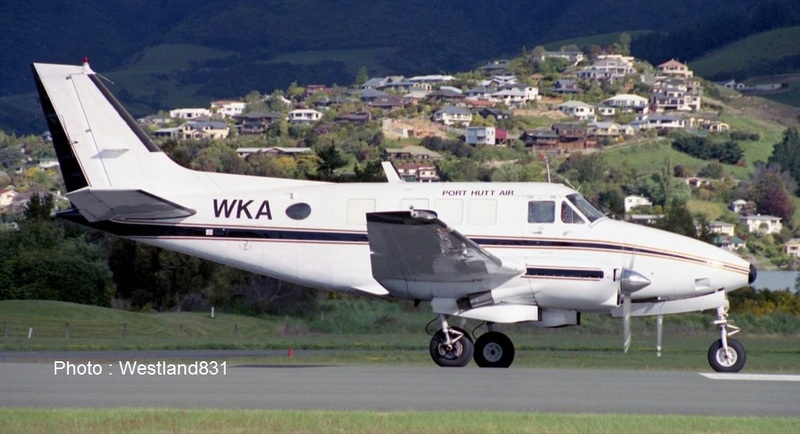 ZK-WKA's last flight was from Paraparaumu to Palmerston North on the 11th of October 2004. The new Beech Queen Air ZK-WKA about to depart Nelson on the 3rd of November 2003. The following year, on the 23rd of August 2005, Port Hutt Air was placed into liquidation while ZK-WKA was deregistered in April 2006. For some years WKA lay rather forlornly at Palmerston North Airport but in 2010 it was brought up to flyable standard and was registered as A3-CIA for Chathams Pacific’s Tongan operation. Is this a recent addition to the Chathams Pacific fleet? Is there any details as to what its previous registration was. Do you know what its previous history is? Is it the former ZK-WKA? I am picking it is ZK-WKA as the post says... WKA was certainly languishing at Palmerston North and that's where it flew from today... the colour scheme is basically the same.